* Mounting on PCB (pins dimension 0,5 x 0,8 mm). 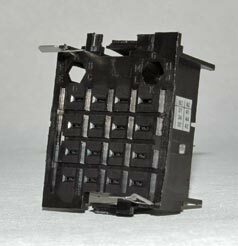 SRC socket if a rear wiring socket for PCB mounting for relays of CS series. See detailed indications regarding withdrawal in the technical support pages of this site.